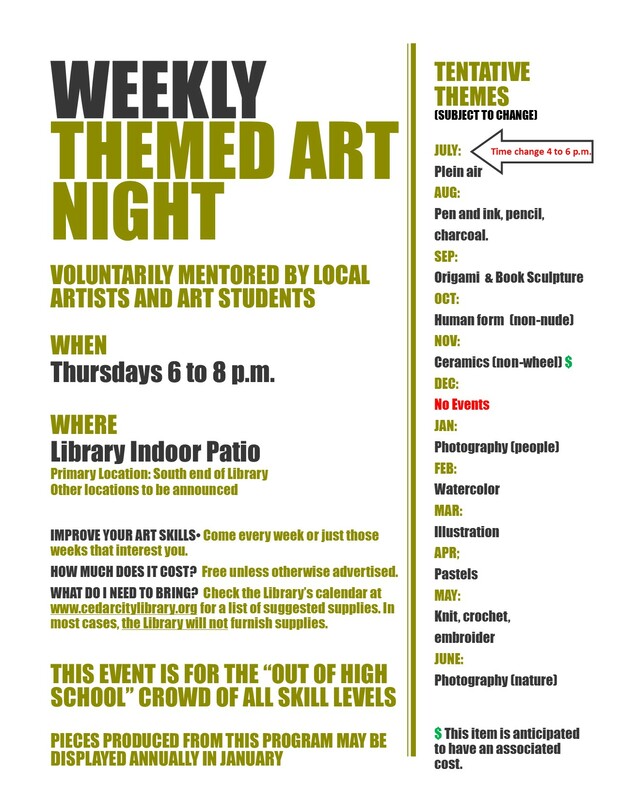 The library holds weekly themes art programs. These programs, designed are part of the library's adult programming, are voluntarily mentored by art teachers and students. The public (over 18) is welcome to participate. Other programs targeted to engage younger patrons will be added as necessary. The age grouping is to give artistic adults an outlet to build or improve their talents and do not suggest "adult" themes in art.